South Asia - Susan Bayly: Caste, society and politics in India from the eighteenth century to the modern age. 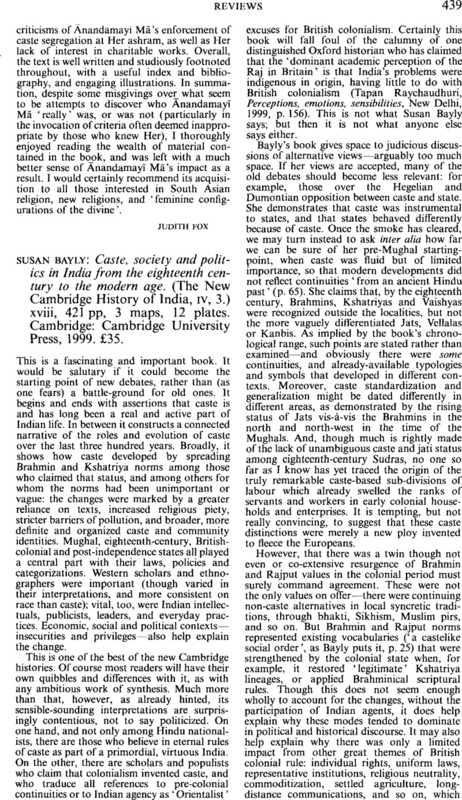 (The New Cambridge History of India, iv, 3.) xviii, 421 pp, 3 maps, 12 plates. Cambridge: Cambridge University Press, 1999. £35.